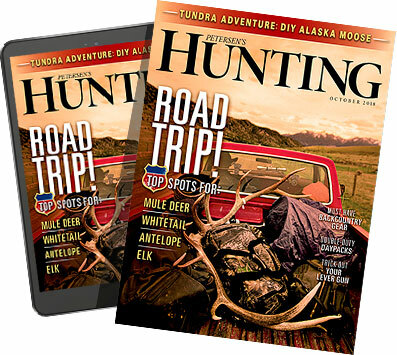 SHOT Show 2019 has no shortage of great gear for hunters, and the trend seems to be toward shooting and hunting at longer ranges. 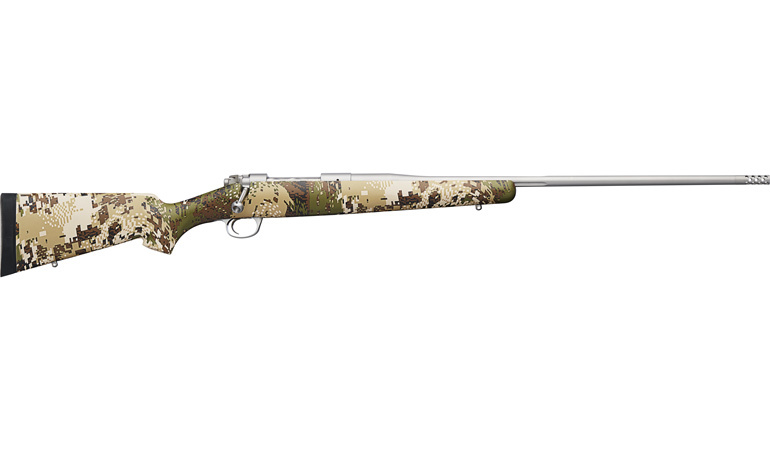 Here are some of the best guns, ammo and optics to help hunters make that long-range shot. Winchester’s newest entry into the rimfire market shares the name of its classic “Wildcat” ammunition. This striker-fired autoloader comes with a button-rifled 18-inch barrel fit with a post front and fully-adjustable rear peep sight. An integral Picatinny rail on top of the receiver makes scope mounting a simple affair. The entire lower receiver assembly can be removed with the push of a button and the bore can be cleaned from the breech end, both of which are conducive to easy cleaning. The lightweight polymer stock has integral sling eyelets as well as a Picatinny rail section on the forend to allow for the mounting of a bipod. The safety on the Wildcat is reversible for left and right-handed operation. 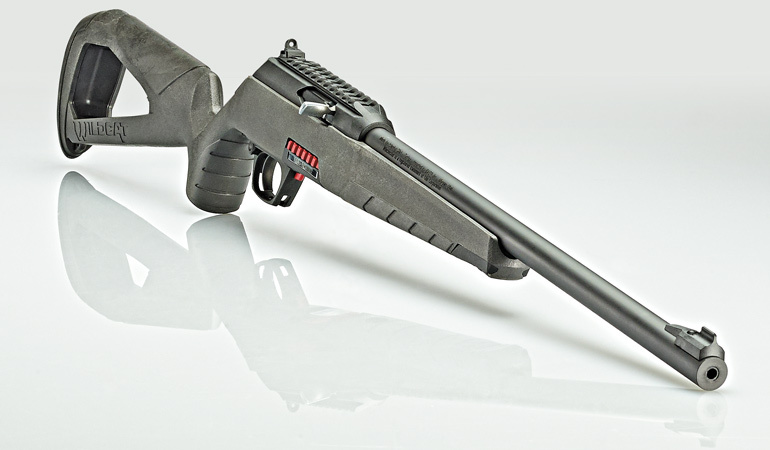 The Wildcat accepts any magazine compatible with a 10/22 for ultimate versatility. Going sub-gauge for gobblers is all the rage, and Stevens has showed up to the party with a single-shot .410 focused on the turkey market. The venerable gun company now falls under the Vista banner, so it’s no surprise this break-action shotgun is expertly matched to maximize Federal Premium’s super-popular TSS Heavyweight turkey loads. The 26-inch barrel is fitted with a picatinny rail for an optic of your choosing, and an extra-full choke that carries the dense payload farther downrange than a .410 ought to. This lightweight shotgun is a dream to carry through the woods on run-and-gun turkey hunts, and features a synthetic stock that’s finished in either Mossy Oak Obsession or the old-school classic Bottomlands. Kimber’s ultimate mountain rifle has been a crowd favorite here at Petersen’s Huntingfor the past few years. 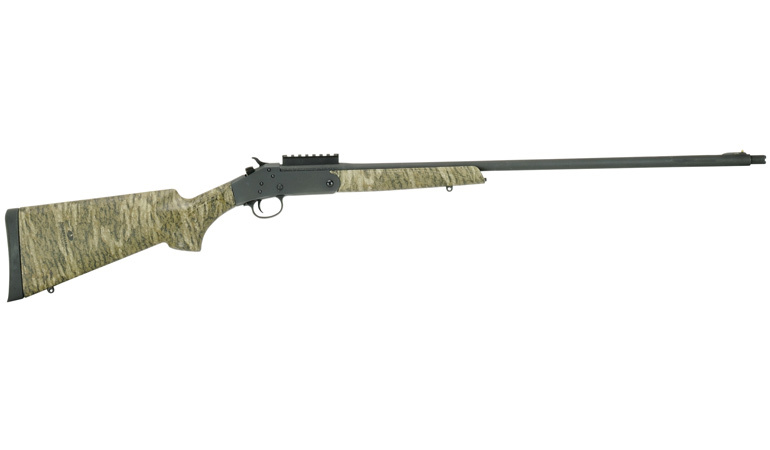 Coming in under 5 lbs., it’s a dream to carry on high-altitude hunts thanks to the fluted bolt and barrel. The Mountain Ascent doesn’t sacrifice performance or accuracy and is fully capable of shooting sub-MOA with quality factory ammo. Expect handloads to do even better. What really impresses us is the rifle’s reliability, thanks to a Mauser-style claw extractor that extracts and feeds without issue under any condition. Now the Mountain Ascent is available with a soft-touch reinforced carbon fiber stock finished in Gore’s popular Optifade Subalpine pattern. 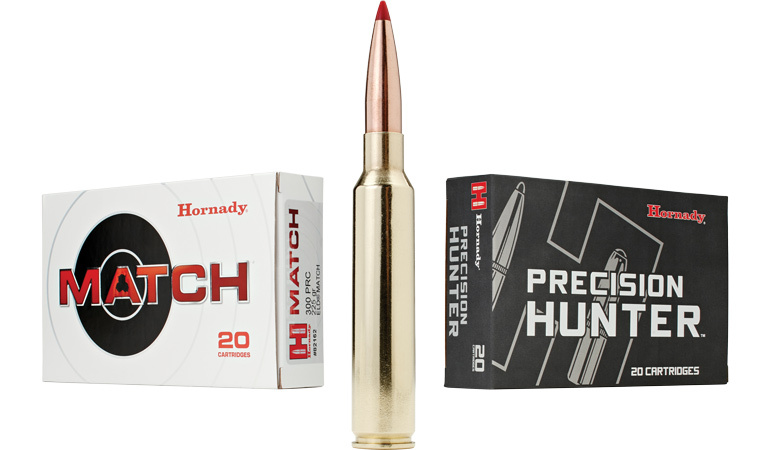 Just when we decided the 6.5PRC was the ultimate long-range hunting round, Hornady drops its big brother, the .300PRC. Designed to reach out and hit hard at extended ranges, this all-new magnum cartridge is built on the .375 Ruger necked down with a shoulder that feeds reliably in all magazines and allows for longer, heavy-for-caliber bullets that are inherently more accurate when pushed to go the distance. Loaded in Hornady’s Precision Hunter line, the .300PRC utilizes the proven ELD-X bullet with an exceptional ballistic coefficient that delivers match-grade accuracy. At mid- and extended ranges, the Heat Shield polymer tip ensures controlled expansion, while Hornady’s proven Interlock design keeps the cup and core together for maximum penetration. Talk about a match made in heaven. 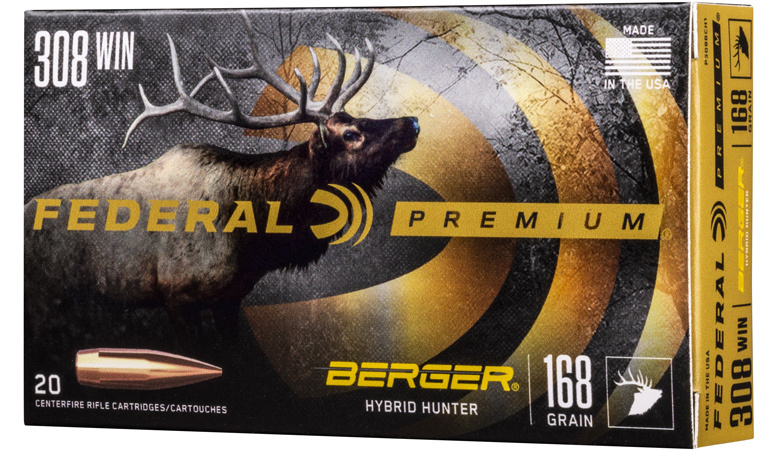 These all-new cartridges combined Federal’s famous components with Berger’s legendary bullets in a long-distance round that delivers throughout the range of calibers. The unique hybrid design features the best of both tangent and secant ogives to create bullets with high ballistic coefficients for increased stability. That results in match-grade accuracy with the added benefit of controlled expansion and bullet integrity at terminal velocities. Of course, you get the best of what Federal Premium offers, included high-grade nickel-plated brass, Gold Medal primers and propellant technology with rocket-fuel DNA. Available in a range of popular calibers, including such favorites, 6.5 Creedmoor, .257 Ackley Improved and .300WSM. I put prototypes of Browning’s newest long-range offering to the test on Lanai’s exploding axis deer population. And while I ended up shooting both my stag well within the cartridge’s capability, the ammo performed admirably at close range, dropping both deer in their tracks. 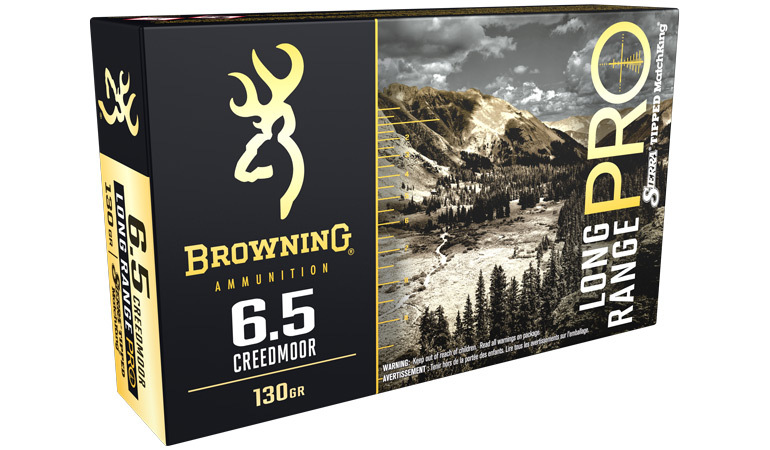 What Browning Long Range Pro really excels at is accuracy at extended ranges. Rather than spend a bunch of time and money developing a new bullet, Browning loads these with Sierra’s proven MatchKing bullets, featuring ballistic coefficients that shoot flat and maintain velocity at ranges that leave lesser bullets literally in the dirt. We spent one afternoon ringing gongs at 700+ yards out of Browning new Hell’s Canyon Long Range rifles and wishing for a longer range. There may be better bullets for tough big-game, but Browning continues to put its stamp on the ammo industry with quality, accurate offerings for shooters and hunters alike. If you haven’t splurged on a pair of rangefinding binos yet, consider 2019 the year you finally get the chance. While Vortex’s newest offering aren’t cheap, they are inexpensive compared to the quality you get for the price. One-button, near-instant readout of ranges mean you can get from optic to bow or rifle quicker, getting off an accurate shot without lag time or fumbling between optics and firearm. Accurate distance reading out to nearly 1,000 yards, with user-selectable line-of-sight or angle-compensated ranges. Scan mode allows hunters to track a moving animal, but we really like the Last Mode, which delivers distance to the farthest object to get you an accurate reading through cluttered foreground. 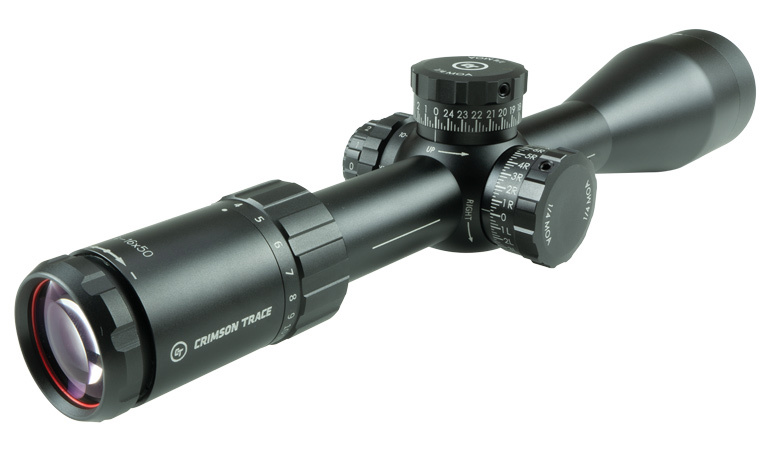 Crimson Trace made its name building tough, reliable lasers for first-responders, and that same dedication to quality is now available in a full line of riflescopes for both tactical and sporting applications. 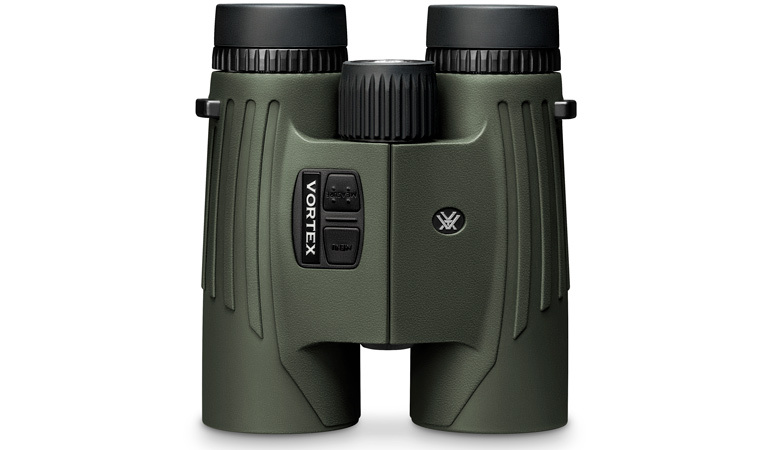 This 4-15x50mm model is perfect for coyotes, with just enough magnification range for the type of shots predators typically present, whether that’s up close in broken country or at extended distances on the wide prairie. The illuminated reticle is etched in place on the first focal plane, providing on-target holds at any distance. Tactical turrets adjust in ¼ MOA increments for added precision. Some of the scope’s coolest features are the handy leveling indicators and alignment ring, eliminating any guesswork or unreliable eyeballing to ensure reticles are level and the scope is in place during the mounting process.